From kiteboarding in the Northwest Passage, to hosting fondue parties on an iceberg, the Giovannini brothers’ sail transit of the Northwest Passage in 2016 was anything but usual. Alex (31) and David (29) Giovannini learned to sail in a land-locked country. Their father founded the first sailing school for young sailors in Switzerland and they went on to spend their teens and early twenties working in boat yards and as charter captains. 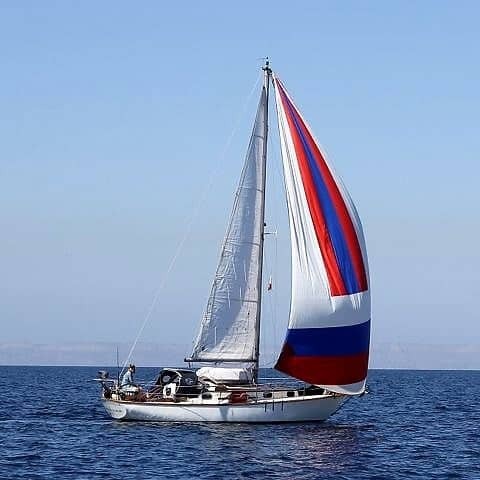 They began their journey in 2014 in Basel, Switzerland, sailing down the Rhine to the Netherlands, down the coast to Morocco and then across the Atlantic. After arriving in the Caribbean and making a quick stop in Trinidad and Cuba they began working their way up the East Coast of the U.S.
Their goal was to sail around the world via the Northwest Passage. Roald Amundsen was the first to successfully transit in 1903-1906. 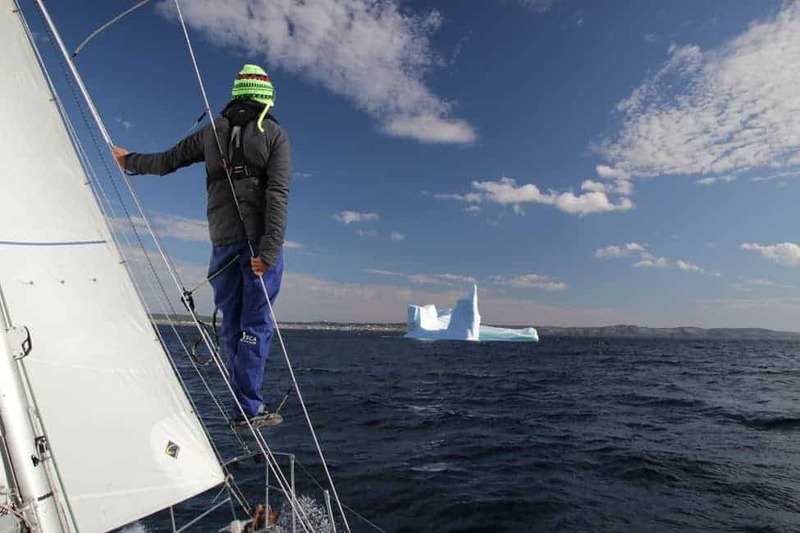 While changing ice conditions have made this route increasingly accessible in recent years, as of 2016, only 94 sailing boats had successfully transited. Meaning that for every one person who has sailed across the Northwest Passage, 12 mountaineers have climbed Everest. 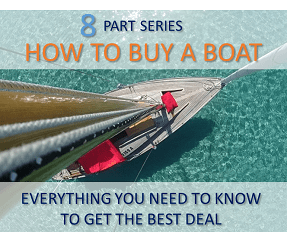 Changing environmental conditions are what has made it possible for an increasing number of sailboats to transit, and this fact wasn’t lost on the brothers. For Team Bonavalette it was important that their journey in some way contributed to environmental research and awareness, so they teamed up with Oceaneye, a Swiss organization that researches and raises awareness on ocean pollution. 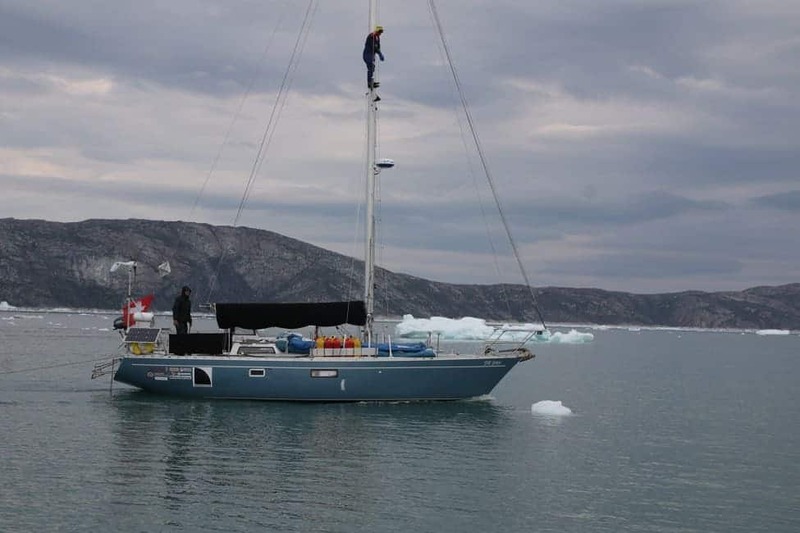 The Bonavalette team regularly collected and sent water samples home for analysis. For the Giovannini brothers, it wasn’t just about the sailing. 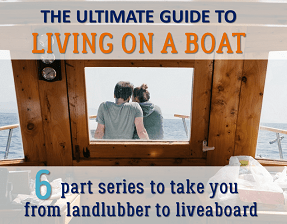 “One thing we learned along the way is that while it’s great to just sail, your boat can also give you access to remote places where you can hike, climb, kiteboard, or dive. 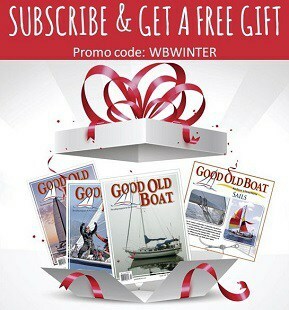 Some of our best experiences have been in places where we were the only boat in the anchorage,” said David Giovannini. 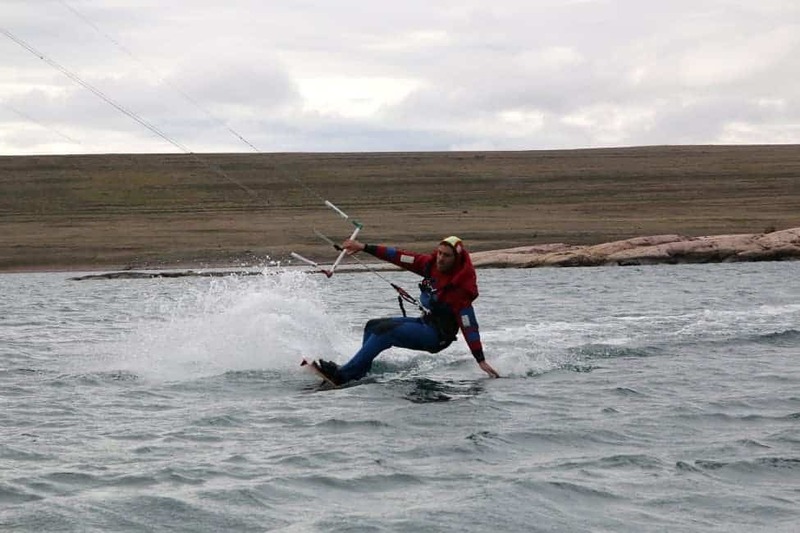 Both David and Alex are avid kiteboarders, and sponsored by Gin Kiteboarding. They decided they couldn’t pass up the chance to kiteboarding in one of the world’s most remote (and arguably dangerous) environments. Arctic ocean temperatures hover around −1.8 °C (28.8 °F). Most humans will lose consciousness in under 15 minutes if submerged. Given the frigid water, the brothers wore survival suits to go kiteboarding. One brother kiteboarded while the other patrolled nearby, keeping a close watch for polar bears, which have been known to hunt humans and can swim at speeds of up to 10kph (6.3mph), faster than a small sailboat and many dinghies. Some Northwest passage sailors recommend carrying two dinghies. Due to the possibility that a polar will puncture a beached dinghy, it’s safer to carry a spare. Happily, the brothers successfully kiteboarded unscathed. 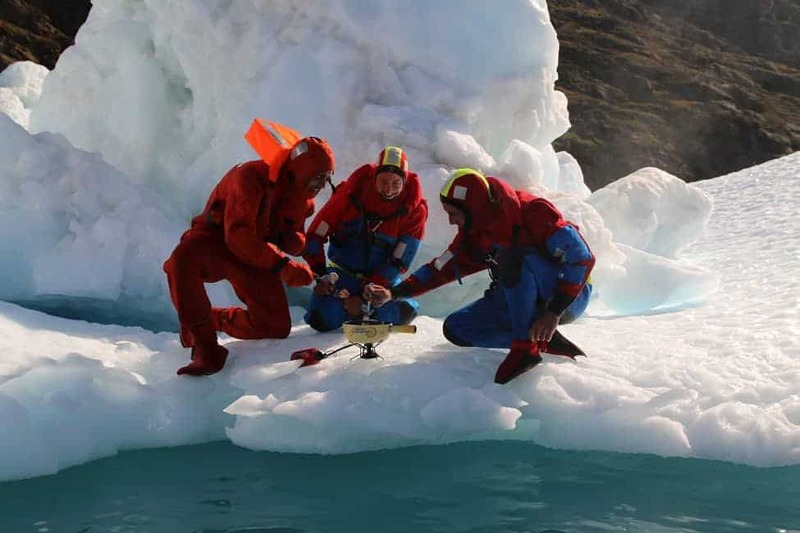 Celebrating in the Northwest passage is limited when it comes to craft breweries and charcuterie boards, but one opportunity it does present is to have a fondue party on an iceberg! In true Swiss tradition the Bonavalette team broke out the Gruyere Cheese (another one of their sponsors) and warmed up over a pot of melted cheese after a hard day of adventuring. The Giovannini brothers also run Rondechute Sailbags – upcycled backpacks, handbags, laptop sleeves, and beauty cases.